Jeff Bezos and his space company Blue Origin have been making headlines lately for all the right reasons. Just a few days after he announced plans for an Amazon-like shipping service to the moon, Bezos is now showing off his company's first fully assembled rocket engine. 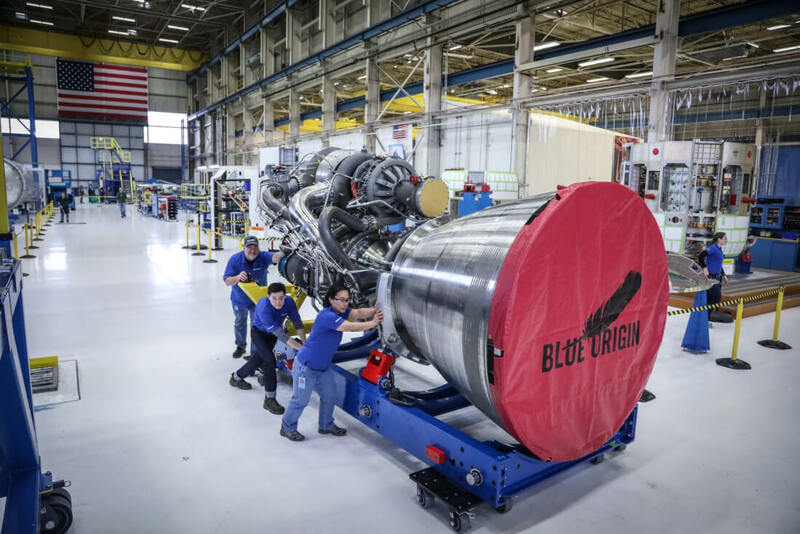 The BE-4 engine has been in development since 2011, marking a big milestone for the private space company. SpaceX has been driving most of the buzz lately, so it's great to see another company ready to compete. This is the first engine and Bezos says two more are close behind and ready to begin testing. It's not clear where the engine will be headed or what rocket it will power, but Blue Origin does have a test facility in Texas. The "New Glenn" rocket they are planning will have seven of these BE-4 engines making it a truly massive rocket. Blue Origin still has a long way to go considering their manufacturing facility is still under construction in Florida. Once everything is up and ready though, they should have no shortage of customers. The United Launch Alliance, the military's top launch contractor, has selected the BE-4 for their upcoming Vulcan rocket (also pictured above). Congress passed a bill banning the use of Russian made engines for military use so the BE-4 is Bezos's plan to enter this market. Competition is always good in emerging fields. With tangible progress towards a launch system, the ULA is pleased with Blue Origin. The BE-4 engine unveiled today will likely see many years of use in the future on Blue Origin and ULA rockets. The first planned launch will be powering the Vulcan rocket sometime in 2019.